Broadnet is a privately held company established in 2003 incorporated under the Laws of Lebanon, whose registered office is Located in Beirut, with global offices in UAE, UK, Singapore and India. 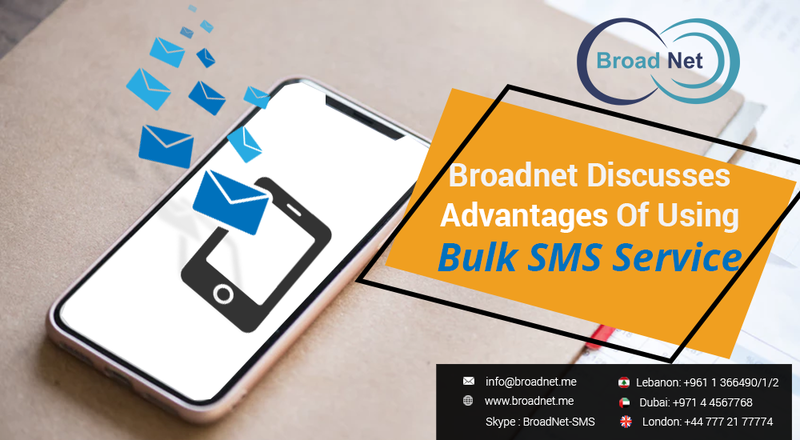 BroadNet is your long-term Bulk SMS solution provider. We provide a Fully Operational Bulk SMS Platform that can adapt to new Business Environments. This platform would enable you to achieve Highest Quality of Bulk SMS Services and Effective Support Compliance Handling. We have been told of several businesses that they have got their start with our backing. We help different businesses communicate easily to their customers and to get New Customers through our Professional Bulk SMS Services. Bulk SMS marketing is facing a considerate level of challenge from existing marketing mediums - including those that use highly innovative new age technologies. But the former always enjoys a standalone edge above the rest because of being simple, easy, uncomplicated and most importantly highly effective medium of communication. Almost every SMS sent is usually read within a span of 10-15 minutes; whereas only a fraction of email sent is opened by the recipient. Therefore, it has a high open rate, high conversion rate, remains inexpensive and makes way for an effortless, effective communication. Broadnet is SMS messaging service is available on an international level. Its clients can reach just about any reachable operator with 99% Delivery rate, and in addition to that the company has back up routes that wouldn't allow any mistake in the SMS Delivery. BroadNet works as your long-term SMS solution provider. The service offers a fully operational Bulk SMS Platform that can adapt to new business environments. This platform would enable you to achieve highest quality service and effective support compliance handling. It helps different businesses communicate easily to their customers and to gain new customers through professional services. "We turned to SMS marketing after learning the benefits it offers. It quickly reaches to targeted set of audiences, can be personalized according to the context and does not cost more," says a client of BroadNet. "We chose BroadNet because of the value they offer. Quality of service and support is simply great, the client continues. BroadNet is a telecommunication company which was established in 2003 in corporate under the Laws of Lebanon, whose registered office is Located in Corniche Al Mazraa, Beirut. BroadNet has local branches in United Arab Emirates, London, India, Italy and Malta.